That said, the garden this year was a little nicer to walk through with the snow instead of the rain. I tried to hit up as many presentations as I could, and detour through the garden on my way back. I spent most of the first day in the exhibition hall. I did make it to two talks–Young Mountain’s and Tea Art of China’s–and really wanted to go to Silver Crescent’s, but it unfortunately sold out well before I even got a chance. It was great speaking to people I hadn’t seen in a while. 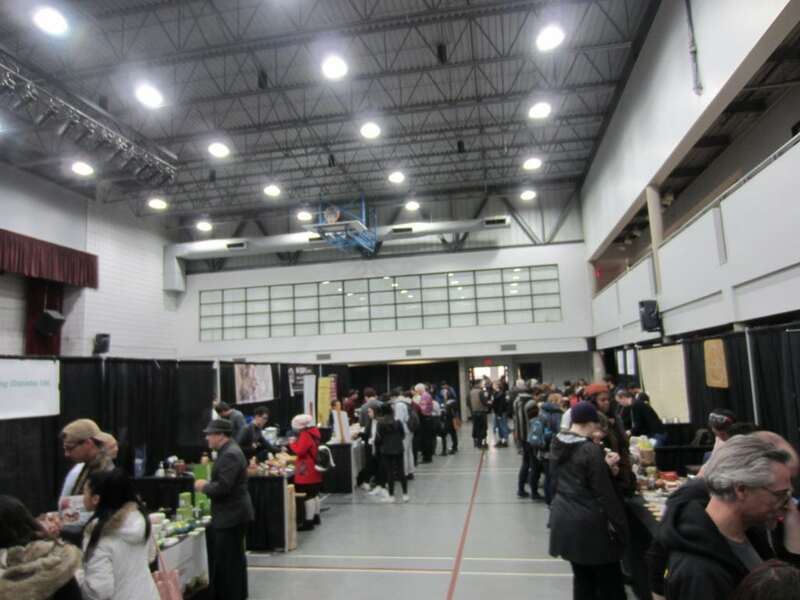 Both Young Mountain and Crimson Lotus skipped last year’s event, but made it out to this one (Crimson Lotus didn’t have a table–unfortunate problems with Canadian customs–but hosted some tastings and presentations). There were some events I regret not making it to, but gosh they had so many it would have been impossible. I showed up just before the crowd rolled in, and was pretty much unable to approach any tables after they did; I’m just not shovey enough. Obligatory photo of the Baron, at O5. Although I attended again with a media pass this year, I was also accompanying friends from my university’s tea club. Most were only present for day one, but while I had a pretty small budget, the club had a much larger one, so at least I’ll get to try some of their stash later. I’m reminded of a blog post about how western tea drinking is very solitary, and I find myself grateful that I live in Vancouver, where this isn’t as much the case. 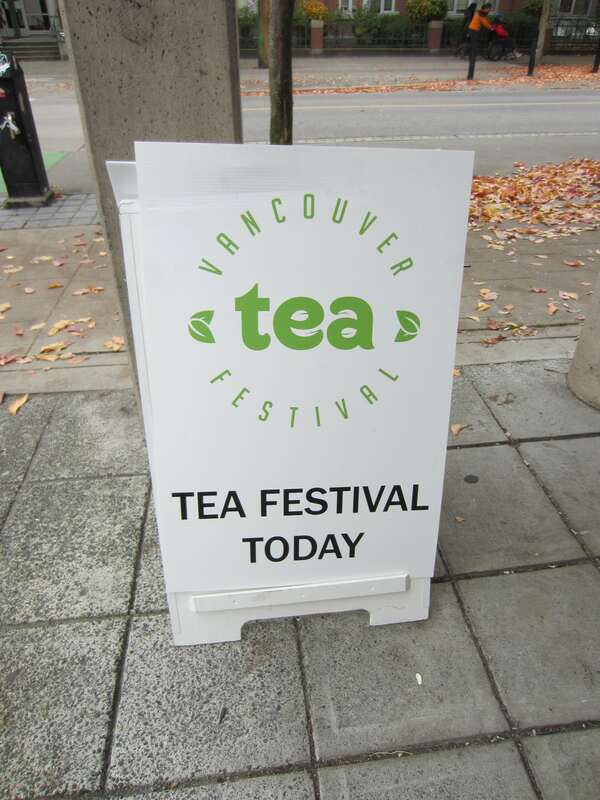 The tea culture in Vancouver is incredibly warm and inviting; when you walk into a shop, or attend these events, you immediately recognize people and lots of people immediately recognize you. But while trying to meet up with fellow tea-heads, and tea club members, I found I kept getting distracted by people I knew, and I realized how incredibly intimidating it can be for people who aren’t “initiated”; it certainly was for me, when I first started making long trips out to shops. Especially being as awkward as I am (and still am; I never know how long to stay, how to keep conversation flowing, or when a conversation is “over”). I was reminded of this again the second day, while at a gongfu table, when a lady straight up asked how to “get in” to Vancouver’s tea scene, and swapped numbers with a few people there. But I find that even after just one meeting, people always remember you. I’m disappointed in myself in getting distracted and absorbed, and not doing the right thing–making introductions between new friends interested in getting more involved in Vancouver’s tea scene. This is a bit of an apology to people I know who also read my blog. In other odd news, I ran into someone I mentioned in an earlier post, who was interested in making a blog specifically about Vancouver’s tea scene. And Luke (from last year), to whom I whipped out my Book of Tea Notes and read off the origin of phalap tea to. This isn’t something I ever made a blog post about, since I feel there’s enough information about it already (here’s one good post). For the second day, I was hoping there’d be a swap out for a few vendors I hadn’t seen the first day, but no such luck. 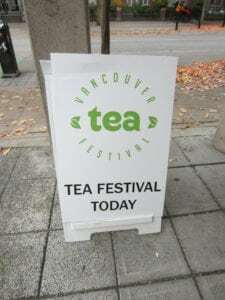 I hate to think that some tea companies in Vancouver actively write off such a great opportunity. I was glad Silver Crescent came, the owners of which are already friends with most of the other tea shops (I also excitedly asked if they were going to come all the way back when they opened). Cha Le was another new shop I was hoping would make it out, but alas. 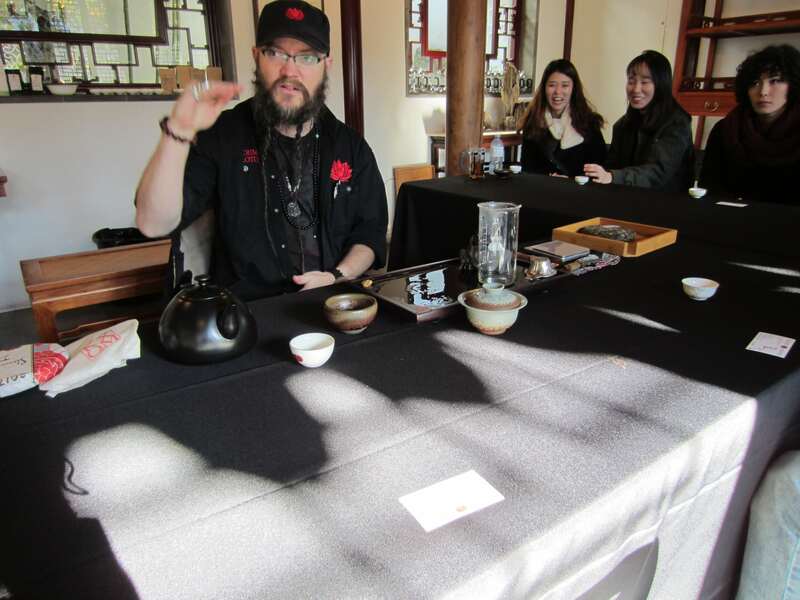 The tables for the companies that could only make it for Saturday were repurposed into seating areas and gongfu tables hosted by volunteers for Sunday. I orbited a few of these for a lot longer than I should have. It’s easy to lose track of time. Still, I managed to make it to both of Crimson Lotus’ events that day (both the tasting and the talk), and a talk on myths and legends which was fun. Crimson Lotus’ sheng tasting left me buzzed and I had to trek off to the bakery for food or else spend the rest of the event light-headed. 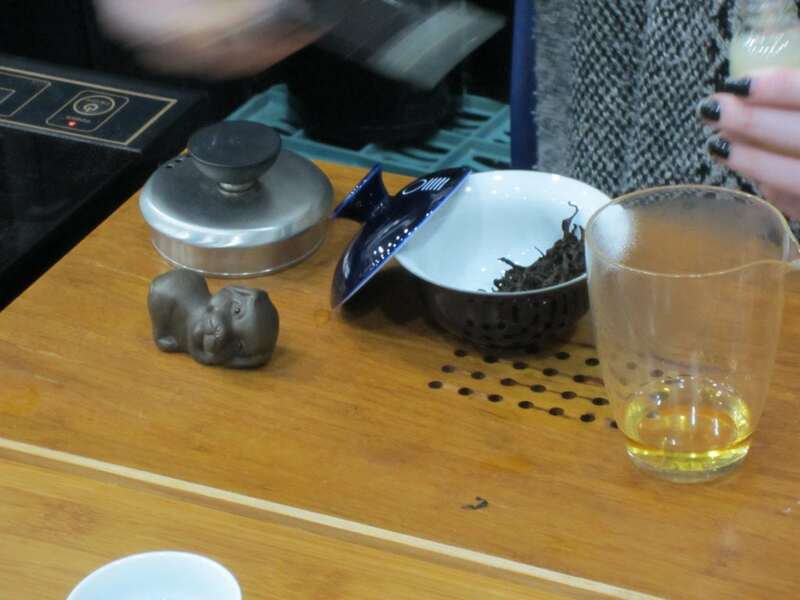 Their talk, which was on puer production, was very informative. With the amount of people I talked to over the weekend, I’m again left wondering if I should make tea blog business cards. And it seems this festival is quite something.